With the growth of digital and social media, it seems that there are more and more data available for your marketing communications every day and almost as many tools to analyze them. This information overload can be overwhelming, but don’t throw your hands up and say, "There are too many numbers! I don’t know which ones matter, so I'm not going to measure at all." That’s the worst thing you could do for your business. It's just as bad as trying to measure everything. There are plenty of best practices ebooks and resources out there to help you determine which metrics you need to monitor to improve your return on marketing investment. But before diving into any 20-plus page documents, here are three metrics that can help you invest your marketing dollars wisely. Reach and impressions can tell you how many newsfeeds your post appeared on, but they can't tell you who’s actually interested in your product or what you have to say. This is why you should be focused on engagement – likes, shares, +1’s, retweets, comments, clicks, etc. LinkedIn: Click on the analytics link at the top of your company page and view the updates table, or the engagement graph. Google+: Click on the view insights button located on your my business page and switch view to engagement. Facebook: Click on the insights link at the top of your business page. View posts or click reach and scroll down to the likes, comments and shares graph. Twitter: Log in to your account and type analytics.twitter.com in the URL bar. View the engagement column. Take note of which posts are getting the best engagement rate. Find out what your high-performing posts on each network have in common, likely they will differ from network to network. Were they short? Did they have a question or statistic? Were pictures used? Take what you learn and apply it to your future posts so you can attract and engage more people that are interested in your business. Creating a list of keywords and throwing them up on Google AdWords is fairly simple, but it’s just as easy to spend more of your marketing budget than you need to. AdWords, like all marketing tactics, isn't a one-size-fits-all solution. There are many options available to help you tailor your strategy. Take advantage of them. Looking at the time spent on your website from clicks on specific keywords is a good place to start. Connect your Google AdWords account to your Google Analytics account. In Analytics, click acquisition from the sidebar options. Select AdWords then AdWords keywords from the drop down menu. Look at pages/session and average session duration. Identify which keywords have the lowest pages per session and average session duration. These keywords aren't attracting quality traffic and are wasting your marketing budget. To correct this, you have two options: remove the keywords from your AdWords or make adjustments. The second option involves a bit of investigation. 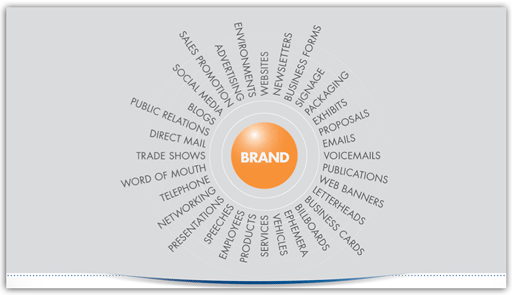 You will need to discover why your keywords are ineffective. Are they too general? Do they have other uses or meaning for those outside of your industry? These issues can be resolved by being more specific in your keyword selection and by adding negative keywords. Google Analytics has an entire buffet of options that lets you segment and analyze your website visitors. One of the most useful tools they offer, however, is Goals. This feature allows you to attribute specific actions, such as online orders, lead forms and quote request completion, to specific traffic sources. You can even attach a monetary value to each goal. Select admin from the top menu. Under the view column click goals. Then click the red + new goal button. After you have established some goals for your website, take a look at how each of your channels (organic, paid, direct, referral and social) are contributing to your goals. To do this, select acquisition from the reporting page sidebar and click channels from the drop down options. Paying special attention to the conversion columns in this view will help you identify which channels have a positive ROI. The success of your marketing investments hinges on your ability to select meaningful metrics and connect them directly to your company’s leads and sales. Knowing which marketing tactics are converting not only lets you know where to reallocate your funds but it gives you clues about your customers so you can tailor your communications to make their experience personal. Having this information also enables you to predict what your pipeline will look like in coming months. What metrics are you currently using to measure the success of your campaigns? Tell us below. If you would like to learn more about our approach to analytics and ROI, visit our website or contact us today. The ALS Ice Bucket Challenge has been an amazing phenomenon to watch unfold. Over 28 million people worldwide have joined the conversation about the ice bucket challenge including posting, commenting or liking a challenge post. We add our voice to this global roar to share two thoughts. Social media can and has made a difference in ALS research. We do what we do at OffWhite, because we believe in those who dedicate their lives to making tomorrow better for us all. When we seized the opportunity to present not one but two workshops at the August 2014 BioOhio Bioscience Expo & Showcase in Aurora, Ohio, our first objective was to give something back to an industry that has been good to OffWhite. This is why we are members of BioOhio in the first place. It didn’t hurt, however, that we knew we would have the attention of leading management and marketers whose responsibilities are to guide biotechnology, pharmaceutical and chemical companies through the global marketplace. During our planning, it became clear that we were tackling two subjects that are as many miles wide as they are deep. We had to make our brief time count. We created two presentations. Brand Science 101 and Social Science 101. Abby and I took the morning session to talk about branding and a fundamental truth in business – your brand is not what you think it is, it’s what others think it is. Jane and Steven presented the afternoon session, Social Science 101, where they demonstrated the need to knit together social media with all aspects of the company, and not just marketing and sales. We split up and built our presentations as two independent teams, Bill and Abby, Steven and Jane. After the outlines were constructed we came together to trade and discuss the outcomes we wanted. But we wanted to do more. We asked ourselves, what do we hope people can take away from what we’re suggesting, and how do we make sure we don’t waste their time? Here, the idea of a take-home kit was set forth. After all, we wanted to extend the OffWhite brand, but we wanted to sell our attendees not on ourselves but on their own ability to manage their own brand and social media resources. As a result, we did what we always do at OffWhite. We built maps. One for branding. One for social. We used these maps to place both of these concepts into context with the business plan – this is how we help our clients avoid spending the same money twice. While we drew on our 30-year history and our combined experience to build the content, Abby and Steven took additional time to design the kit we would present to the attendees so they could walk away with a tangible and useful tool to use in their own companies. Once on site in Aurora, we broke all of the rules and distributed the kits to each attendee before we started our presentations. Once they saw the map, they knew where in their marketing equation we would be nesting for the next hour. What did we expect? Certainly not a standing room only group, but that’s what happened. People were actually sitting on the floor - and nobody left. The energy in the room was high. Our goal was to simply share what we know based on what we do. We included comment cards in our kits so that we could improve our presentations based on immediate feedback. While we don’t know how our attendees actually used the tools we gave them, the comments were encouraging. Here are a few. I think it’s safe to say that our trip to Aurora was a success. This was the first year that BioOhio provided a workshop opportunity, and I’m glad we took it. It was a mutually beneficial investment in our company and the industry we serve. Truly, education is the best kind of marketing. We’d be happy to present Brand Science 101 or Social Science 101 at your convenience. If you would like a personal presentation at your place or ours, or via a webinar, give us a call or email. We’ll forward the take-home materials along the way. 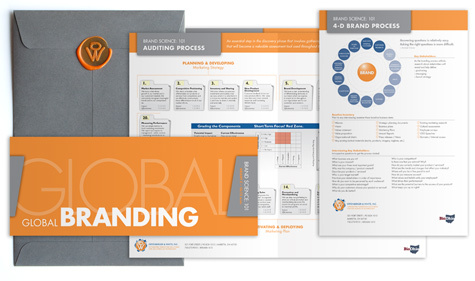 The OffWhite Brand Science 101 kit includes a Standards List, 4-D Brand Process Guide, a copy of our Aud.it™ Planning Map, and a Social Media Resource Directory with links to materials we used to prepare the presentation. 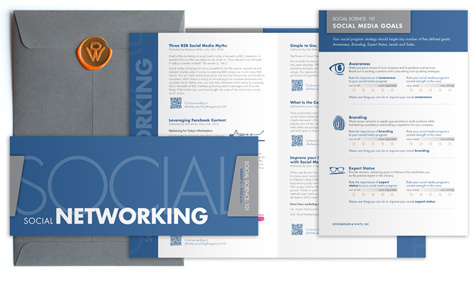 The OffWhite Social Science 101 kit includes a Guide to Social Media Programs, a list of Program Components, a guide to Social Media Goals, and a Resource Directory with links to materials we used to prepare the presentation. Is Your Social Content Mobile-Friendly? By now, you’ve probably caught on to the idea that your website needs to be mobile compatible in order for your business to remain competitive in the marketplace. According to Forbes Insights’ report, “The Connected Executive: Mobilizing the Path to Purchase,” 90 percent of B2B decision makers are using their smartphones and tablets daily to complete business-related tasks. Of these senior-level executives, almost three-fourths confirmed that they would not engage with a company if they had a poor mobile experience. Another tidbit of marketing advice that you’ve likely heard is that you need to have a social media presence and social marketing strategy. In a way, these two pieces of advice are connected. While you’ve likely adjusted your website to meet these expectations, have you applied the reality of mobile to your social media plan? According to the 2014 Nielsen Digital Consumer Report, 47 percent of smartphone users access social media on their phone daily. This percentage is likely to include the industry influencers, buyers and decision makers you are trying to reach. Another striking statistic from Forbes Insights, is that 78 percent of B2B decision makers use their personal time for mobile browsing. I think you and I both know executives aren’t immune to the temptation of checking their social networks while they’re on mobile, especially on their personal time. I mean apps make it so easy, right? Recognizing the shift from computers to mobile devices allows you to step back and look at social media in a different way. For most people, their phone doesn’t leave their side for more than two hours of the day. Social media is no longer a desktop experience; it’s an ongoing event. So, forget pushing advertising and promotions, and start trying to figure out how you can be a part of your target audience’s lifestyle. At OffWhite, we thrive on the ever-changing digital landscape and the opportunities it brings. If you would like to learn more about our approach to social marketing or begin designing your own strategy contact us today.